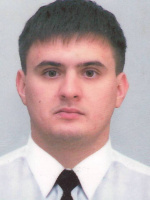 Good day, dear employer, my name is Vitalijj Prokhorov. I am looking for job in position of 2rd Officer. I am reliable, serious, loyal and responsible candidate with good ability to learn fast. If you don’t have an open position which corresponds my qualification, please add my cv to your database of candidates to consider my candidature in the future.